Rudy Project shared this photo of the bike transition area, which included a large number of its aero helmets (click to enlarge). While actual racing is the No. 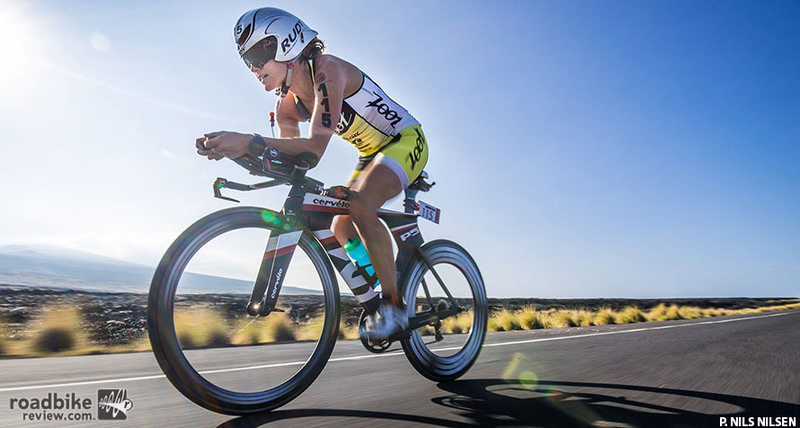 1 story at the annual Ironman World Championships in Kona, Hawaii, the count of competitor’s bike and gear is arguably more interesting for many casual multi-sport fans. Each year on the eve of the race numbers are tabulated for bikes, wheels, drivetrains, pedals, power meters, helmets and more. Once again the big winner was Cervélo, which accounted for nearly twice as many bikes as second-place finisher Trek (522 to 275). Specialized (218), Felt (153) and Argon 18 (101) rounded out the top five in the bike count. The other truly dominant players are Zipp and Shimano, which ruled the wheel and drivetrain categories respectively. ENVE, Reynolds, Mavic and HED rounded out the top five in wheels. SRAM was a distant second, with Campy and Vision even further back in drivetrains. For helmets, Rudy Project ruled the day, with Giro, Specialized, Garneau and Casco completing the top 5. Power meters was one of the tightest battles, with Quarq edging out Garmin, and relative newcomer Stages slotting a close third. Former stalwarts SRM and PowerTap were 5th and 6th. Here’s a look at all the rankings from 2016, which are courtesy of Lava Magazine. 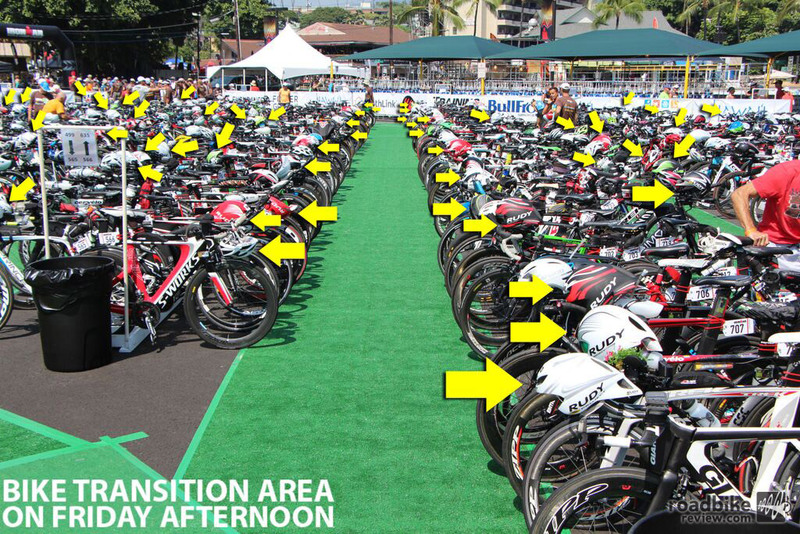 Rudy Project shared this photo of the bike transition area, which included a large number of its aero helmets.